Barrier Island Restoration – Restore or Retreat, Inc. Barrier island restoration projects are designed specifically to protect and restore the features unique to Louisiana’s barrier island chains. This type of project may incorporate a variety of restoration techniques, such as the placement of dredged material to increase island height and width, the placement of structures to protect the island from erosive forces, and the placement of sand-trapping fences, which are used in conjunction with vegetation plantings, to build and stabilize sand dunes on barrier island beaches. 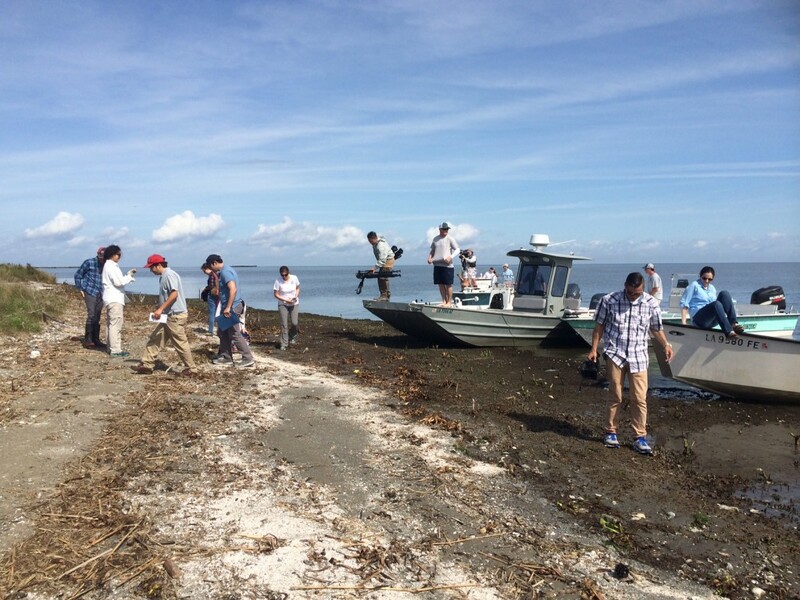 The Louisiana Outer Coast Restoration project involves the restoration of beach, dune, and back-barrier marsh habitats at four barrier island locations in Louisiana. The four locations are Caillou Lake Headlands (also known as Whiskey Island), Chenier Ronquille, Shell Island (West Lobe and portion of East Lobe), and North Breton Island (a part of the Breton National Wildlife Refuge). This project is being implemented with early restoration funds associated with the Deepwater Horizon oil spill. The total estimated cost is approximately $318 million. The goal of the Louisiana Outer Coast Restoration project is to restore beach, dune, and back-barrier marsh habitats, as well as brown pelicans, terns, skimmers, and gulls to help compensate the public for spill-related injuries and losses to these resources. The CPRA will be leading the implementation of two components of this project, Shell Island West which is currently out for bid and the Caillou Lake Headlands project which is anticipated to bid within the next six months. NOAA will be leading the implementation of the Chenier Ronquille component, and DOI will be leading the implementation of the North Breton Island component. With the sand lease from the Bureau of Ocean Energy Management and the final design package, the State will be submitting to facility planning for advertising. We hope to advertise by beginning July and start construction by sometime in August/September. Grand Terre was a continuous island until 1926 when Pass Abel was created during a hurricane. Pass Abel continued to expand resulting in East and West Grand Terre. Shoreline recession rates are approximately 30 to 40 feet year. These islands separate the Gulf of Mexico from Barataria Bay and are thus an important first line of defense for the interior marshes of Louisiana. West Grand Terre Beach Nourishment and Stabilization Project is a project to restore and enhance dune and back barrier marsh habitat to provide storm surge and wave attenuation, thereby addressing the issues of gulf shoreline erosion, diminished storm surge protection, and subsidence of back barrier marshes. Download project fact sheet. Download project proposal. The State is working to be at 90% on design and engineering in 2018. Once they get there and if funding becomes available, they will proceed to completion, then land rights, permits, etc. Media land on Grand Terre to commemorate the 5 year anniversary of the Deepwater Horizon disaster.